Whether you need an elegant fence to surround your garden, a heavy-duty fence to protect your property, or a high and mighty fence to add some privacy, planning a fence can be difficult and time-consuming. What dimensions will it cover? How much will it cost? What material options do you have? What if your neighbors stage a protest? If you’ve just begun planning a fence, scroll down to learn more about the process and read our tips and tricks. They want to secure their yard against thieves and vandals. They want to prevent children and passersby from traipsing through their yard. They want to prevent children and pets from falling into a pool. They want to establish a boundary to stop their neighbors from trespassing. They want to adorn their lawn with a beautiful, elegant decoration. They want to block out the neighbors’ rowdy, noisy parties. They want to conceal a neighbor’s messy yard or unsightly home. They want to enhance their yard’s privacy. They want to prevent neighbors from spying or eavesdropping on them. They want to give their dogs a safe area to run around and play. Once you’ve figured out your priorities and what you want the fence to achieve, you can move forward with the process. Your decision will help you choose what type of fence to purchase. 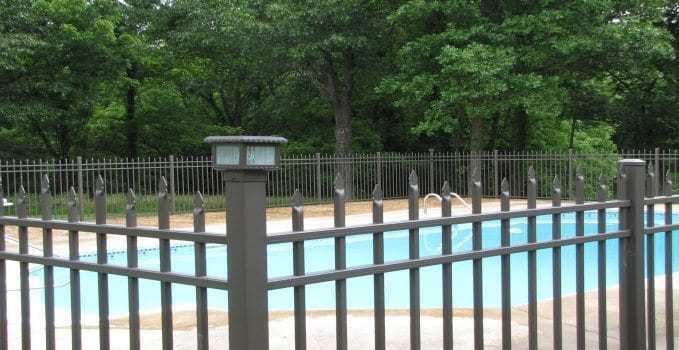 For example, if you’re concerned about your neighbors snooping when you’re taking a dip in your pool, you will probably need to purchase a tall privacy fence. If you’re more interested in the fence’s aesthetic appeal, you can explore ornamental fences. 2. Determine the size and budget. Next, decide on rough estimates for your future fence’s size and budget. Take a tape measure outside, block out some rough boundaries (or check your home’s paperwork for firm boundaries), and write down measurements. This will help you figure out what type of fence you can afford. You should also take a look at your savings account and decide how much money you are willing to invest in the project. You might need to adjust this number when you see the costs of your favorite materials, but it’s financially prudent to make an initial plan and work from there, especially if you’re on a tight budget. Fences can be surprisingly expensive when you consider the costs of both the material and the labor. If you want to save money, look for inexpensive materials and plan to install the fence yourself. Aluminum: Aluminum fencing is low-maintenance and durable, but it won’t work well as a privacy fence. You can install it on sloped landscapes, and it comes in a variety of attractive colors and designs. Vinyl: Vinyl fencing has a higher upfront cost, but its longevity, lack of maintenance, and durability make up for that initial price in the long run. You can easily install a vinyl fencing system yourself, and many contain an interior of aluminum for additional strength. Wood: Wood is a classic fencing material, but it’s also pricey and requires a lot of painting, treating, and/or staining. Before you invest in a wood fence, consider the risks. Wind, moisture, and termites can all easily wreak havoc on a wood fence. Steel: You don’t need us to tell you that steel, while strong and powerful, is heavy. You will need to hire professionals to install the system due to its heftiness. Experts typically warn against using steel fences for residential use; they work better in industrial environments. Wrought Iron: Wrought iron, though beautiful, is very heavy and difficult to install. It can develop rust depending on where you live, so you will need to frequently inspect, sand, and repaint areas where the paint has chipped. Chain-link: Chain-link fencing, while affordable and relatively durable, lacks the elegance and beauty of other materials. It is often considered rugged and pedestrian. Research your material options thoroughly beforehand so you can make an educated decision. Don’t underestimate the importance of a quality fencing material when planning a fence. At this point in the process of planning a fence, you should talk to your neighbors about the fencing project. There are several important reasons to do this. First, it ensures that you’re on the same page regarding the property line. Check your plat or hire a land surveyor if necessary. Second, your neighbor might be willing to split the cost on the fence that divides your properties. Most neighbors won’t offer the money upfront, but if they want a say in the design of the fence, they might suggest it. Third, it’s simply polite! Click here to learn more about fence etiquette. 5. Purchase materials and install. Now that you’ve nailed down your measurements and materials and you’ve talked with your neighbors, you’re ready to get started! Stake out those measurements, create lines with string or chalk, purchase your materials, and start the installation process. If you’re looking for a new vinyl or aluminum fence to protect, enclose, or adorn your property, be sure to check out MMC Fencing & Railing. You will adore our high-quality fences. To learn more about our vinyl and aluminum fencing systems, please check out the MMC Fencing & Railing online store or give us a call at 1-866-931-5002.